Marie F. Benjamin is committed to providing service above standard to assist others. As an attorney, she is highly proficient in the areas of law in which she practices. She was born in Cleveland, Ohio and raised mostly in Hudson, Ohio. She attended Hudson High School where she proudly graduated in 1983. During her high school years, Marie was active in the band, the student exchange program and photography. Upon completion of high school, she relocated to Michigan to attend Adrian College in Adrian Michigan where she majored in Business Administration and Pre-law. During her years at Adrian College, Marie was the photographer for the Public Affairs office. She was also a member of Alpha Sigma Alpha Sorority. As a young child, she dreamed of becoming an attorney. She started the journey toward the dream by attending Case Western Reserve University School of Law in Cleveland, Ohio. While in law school, she served as secretary of B.L.S.A., Black Law Student Association. She worked at the the state prosecutors office in Cleveland as a mediator. After earning her Law Degree and acceptance to the Ohio State Bar, she started practicing for a local law firm in downtown Cleveland for two (2) years. She later moved to Florida and married her husband James B. Her experience started with the State of Florida Department of Labor as a workers compensation and employment equal rights specialist reviewing discrimination files and establishing standards and procedures. Upon acceptance to the Florida State Bar, she relocated to the Central Florida area. She worked for a local law firm for a short time at which point she resigned to focus of her family. She have three (3) lovely children, James F., Marissa, and Jeremiah. She started her own practice focusing on areas that still provided her the opportunity to dedicate the time needed to nurture her family. She is continuously expanding her practice now with admittance to practice in the federal court of the middle district of Florida. Marie is also licensed as a Realtor at Watson Realty Corp. which she practices with her husband. They service clients in the Central Florida area and function as consultants for clients out of the area. Their real estate practice consist of listing and selling homes as well as assisting homeowners who are upside down on their homes (short sales). They also educate customers with loan modification. They provide seminars to individuals and/or groups on their options when faced with financial challenges in paying mortgage. Educating others is an important service they provide. 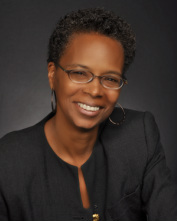 She is involved in the community serving as a chairwoman of the board for Central Florida Freedom School; a six (6) week reading enrichment program serving children and families during the summer. She is also currently the youth director and coordinator at Shower Downing of Blessing Church and Ministries in Sanford. Marie prides herself on nurturing and caring for the success of others. Complete the form below or call me at 407-492-8056.